The Tellem are thought to have occupied the region of the Bandiagara escarpment until the sixteenth century. 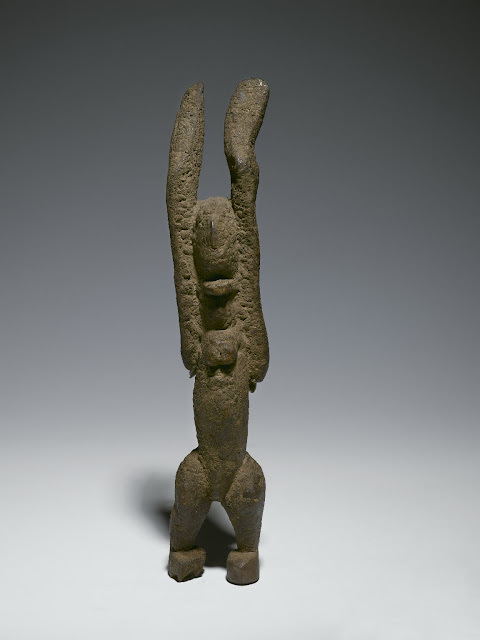 The human form with raised arms is a common pose for Tellem sculptures and is said to refer to prayers for rain, crucial in this dry region. I have a "similar" statue in my collection . The x-owner calls him "rain maker".